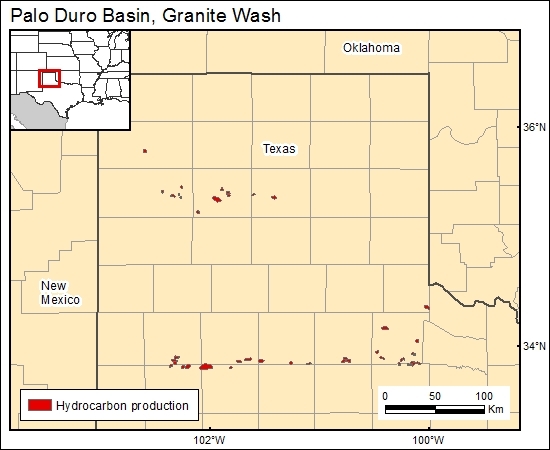 There is only very minor hydrocarbon production from the Palo Duro Basin in general and the Granite Wash in particular. The few oil fields are located on margins along basement uplifts. Dutton, S. P., Goldstein, A. G., and Ruppel, S. C., 1982, Petroleum potential of the Palo Duro Basin, Texas Panhandle: The University of Texas at Austin, Bureau of Economic Geology Report of Investigations No. 123, 87 p.